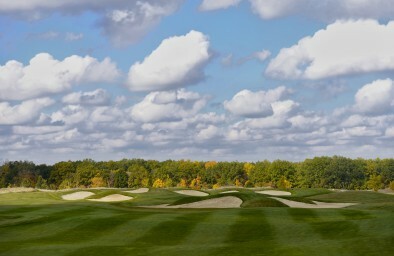 The Superior Golf Club training grounds consist of five open spaces and two golf simulators in the Clubhouse. The covered driving range is situated 50 meters (160 feet) from the Clubhouse. Here you can hone your shot for different distances and trajectories. There are six real greens for this, 50-180 meters (160-600 feet) from the training mats. The driving range is fully lit at night. The space includes a comfortable relaxation area. You can order a cold drink and snacks here to recharge. You can clean your clubs right from the driving range using the special brush-cleaning devices. On certain days, the driving range is open as a short, instructional Pitch & Putt course. From the teeing ground, you can play 6 holes in a row, aiming for 3 shots or fewer. 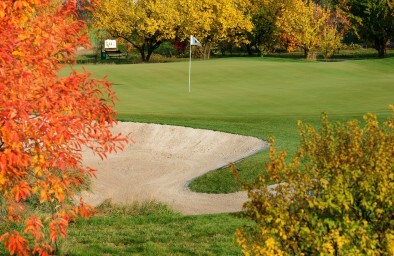 Our grounds also feature a chipping green with three bunkers to develop short-range and bunker shots, and three putting greens to develop green shots.